This family tree was related by word of mouth down the generations of the family. It comes mainly from Mary Hamilton's (n�e Croswell) grandparents and the history is carried back to the accession of William and Mary which was then the greatest pivot in Irish history. The Roman Catholic religion became partially defeated in England, and Ireland was not then reformed any more. 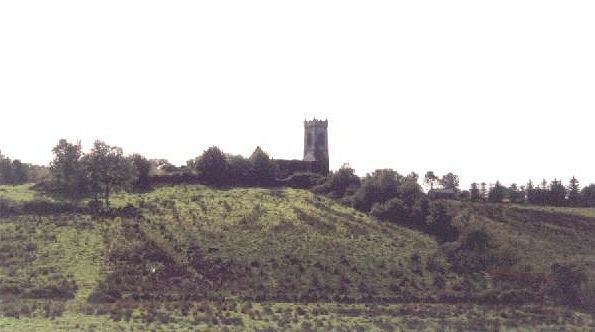 A lieutenant in the English army of William (Protestant) was endeavouring to raise the Siege of Enniskillen - his name was Hamilton (born ca 1665) and he became wounded and was taken prisoner by an officer named Peyton in the Army of Tyrconnel who was fighting for King James II (Catholic). 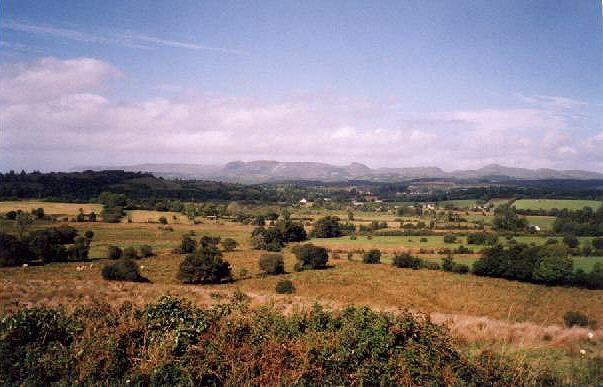 Peyton was of a Protestant family from England who had been previously settled in Co. Leitrim. Hamilton was said to have been a Scot. 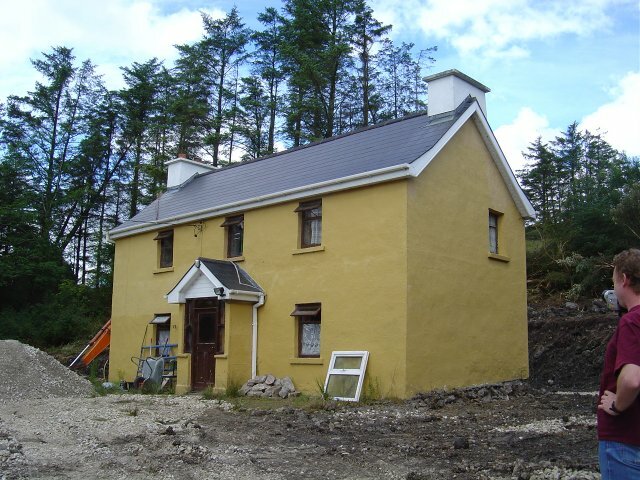 After the Peace he did not follow the army nor get promotion for he is seen to settle down and marry a Miss Peyton (born ca 1668), and they took up residence at Killanummery, near Dromahair, Co. Leitrim. As indication of which side they favoured their two sons became named James and Charles respectively. The first hundred years on the tree are subject to dispute as no records survive to confirm the names and dates. 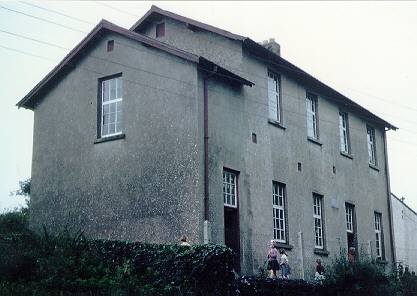 However from Robert of Sracummer (born 1790) and onwards we are moving on firmer ground and have been able to confirm many of the names and dates by surviving parish records, inscriptions on gravestones and also personal knowledge from Mary Hamilton and Jane Young, recorded by James Peyton Hamilton sr.
Killanummery Protestant church was once an imposing sight. Sadly it is now merely a ruin without a roof. 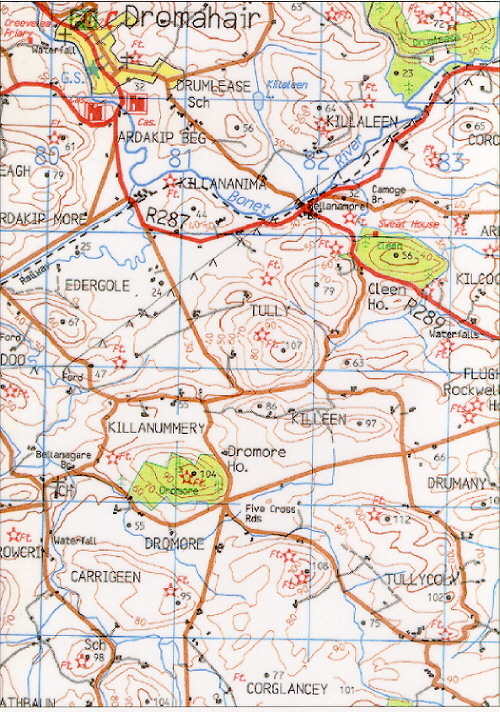 Click on images to see larger images of Killanummery map and surrounds. 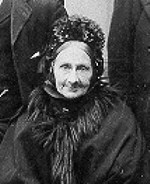 One of Robert's sons - James - married Maria Croswell, or Mary Cresswell as she was referred to later. 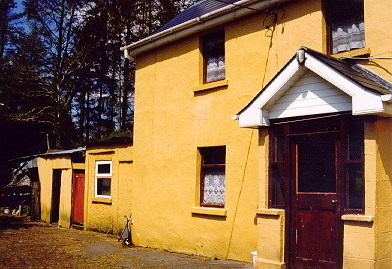 James and Mary moved from the Killanummery area across the border to Co. Roscommon. 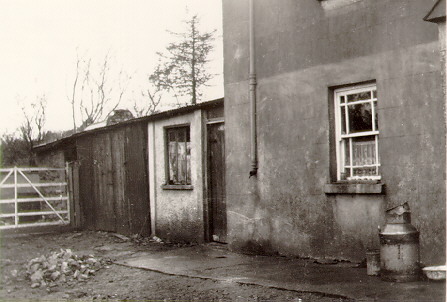 They moved twice - the first location is not known but Robert is thought to have been born in Co. Sligo. 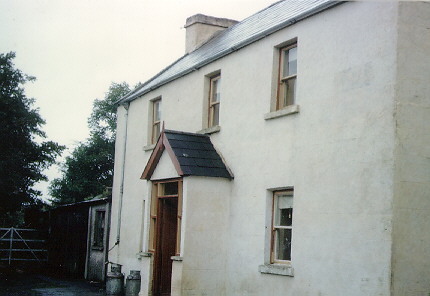 By 1864 they had set up home at Greaghnageera(gh), Ballyfarnon where they were tenant farmers and James Peyton and Alfred Parke were definitely born in this house. 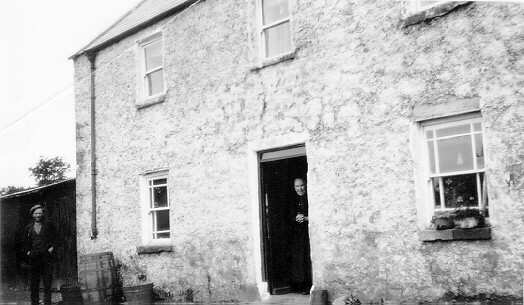 Later they moved a short way down the road to Larigan (aka Lurraga) where James died in 1872 and Mary continued farming there until her death in 1905. 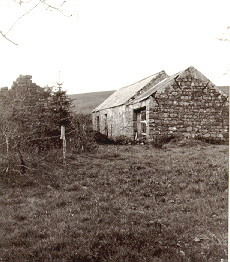 The house they lived in at Larigan has been demolished and replaced. Mary was a diligent and hardy woman who was not afraid to take pot-shots at the Catholic boys who tried to set fire to her haystacks. She kept the rifle concealed under her long skirts! This photo was taken in 1904 when Mary was 82 years old. How many 82 year olds could ride a horse that size today? 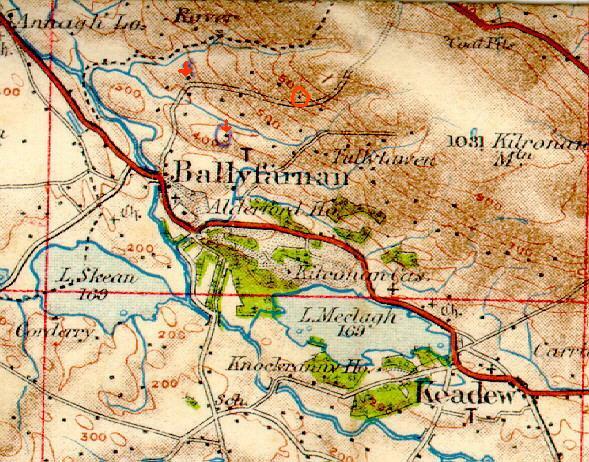 Click on image to see larger map of Ballyfarnon and surrounds. 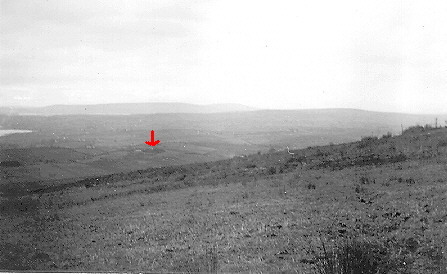 Highest red arrow is location of the house at Larigan. Lowest red arrow is location of the farm buildings. James and Mary had eleven children, five boys and six girls. Of the girls only Anne Jane (Black) lived to be a ripe old age, emigrating to London after the death of her mother. By the end of the 19th century all five boys had emigrated to London after finding that farming was becoming too difficult in the wake of the potato famine. The youngest of them all, Alfred Parke, was my grandfather who sadly died long before I was born.